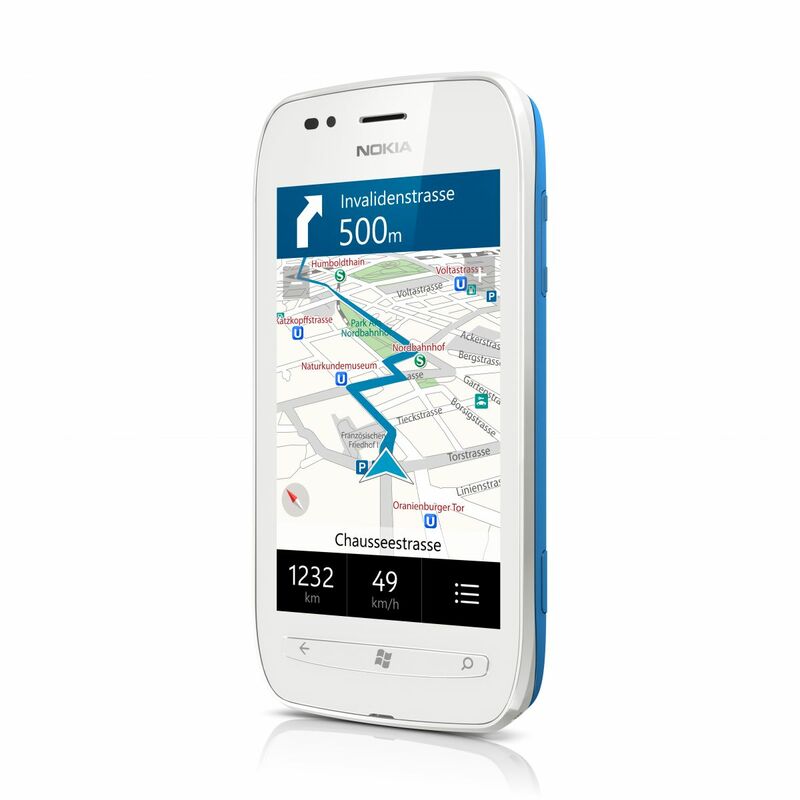 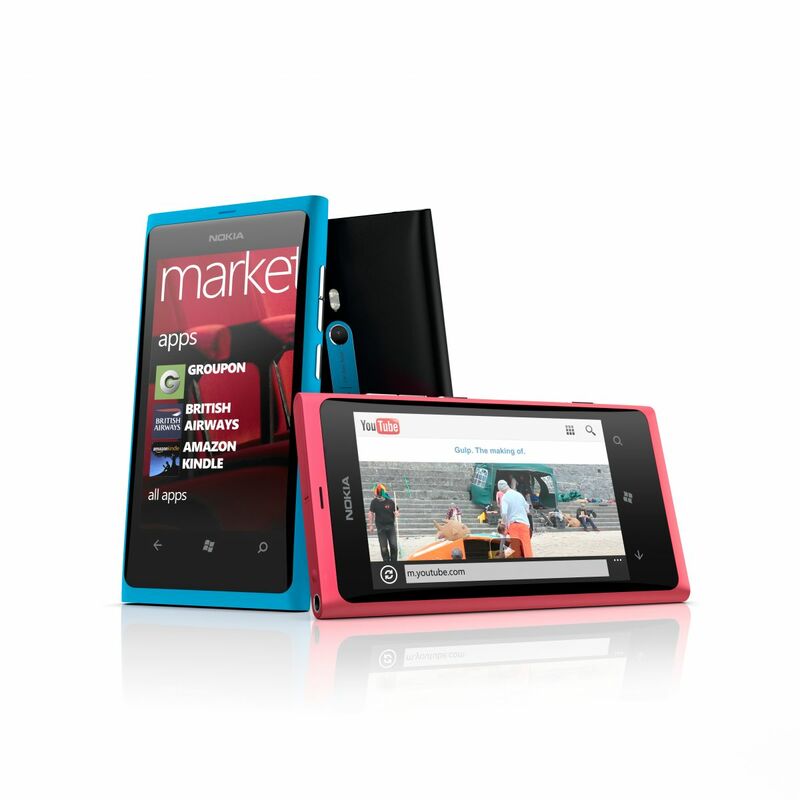 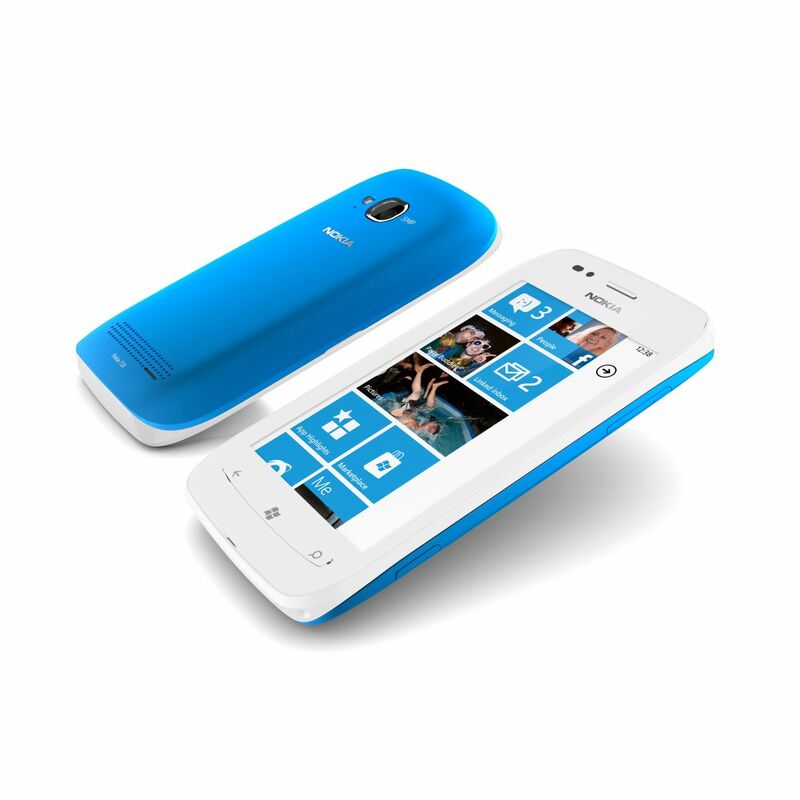 At today’s Nokia World in London, the Finish company unveils a bold portfolio of new phones, along with its first smartphones based on Windows Phone 7.5 platform – the Nokia Lumia 800 and the Lumia 710. 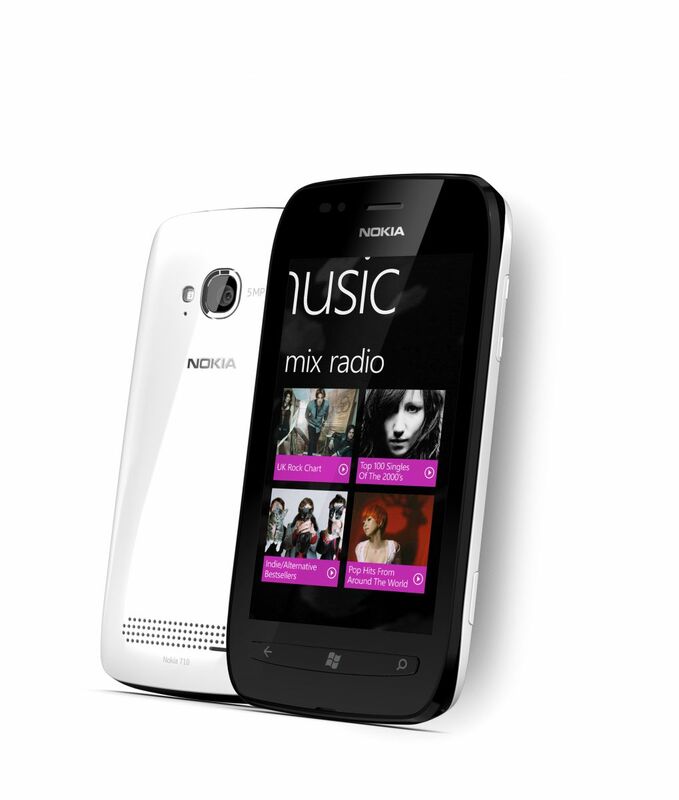 Both Lumia smartphones, along with the Microsoft OS, also come with variety of optimized apps, plus exclusive Nokia Drive – turn-by-turn voice-guided navigation with dedicated in-car-user-interface, MixRadio – a free, global, mobile music-streaming application that delivers hundreds of channels of locally-relevant music and ESPN Sports Hub apps. 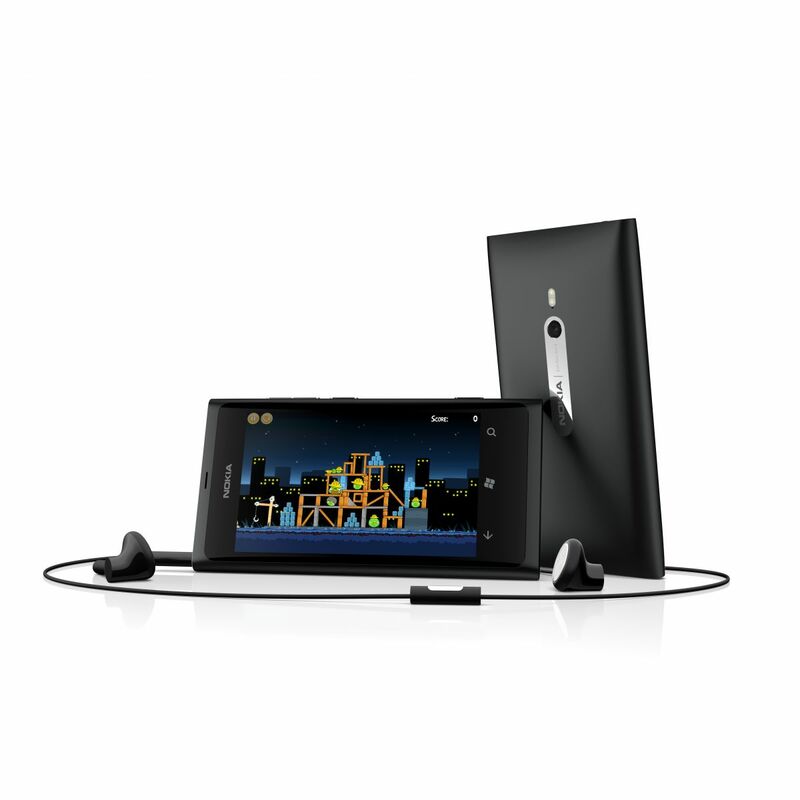 The flagship in the new Nokia Lumia range, the Lumia 800 features unibody design with 3.7 inch (800 x 480) AMOLED ClearBlack curved display and is powered by a 1.4 GHz single-core Qualcomm MSM8255 chip and 512MB of RAM, plus 16GB built-in storage, but if this is not enough for you, Microsoft will give you 25GB of free SkyDrive online storage. 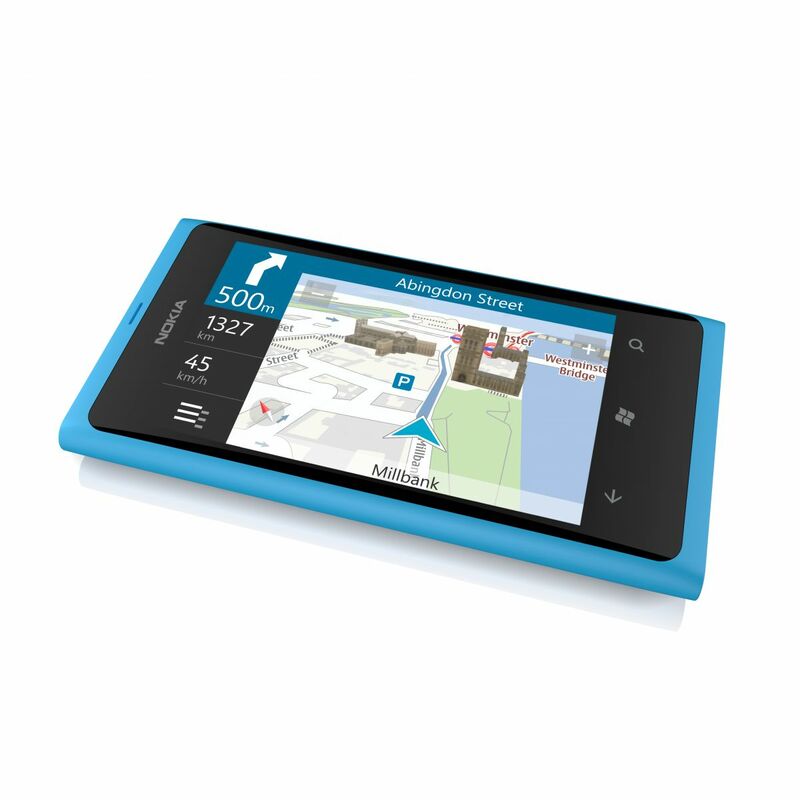 Other specs include aGPS, an accelerometer, and a proximity sensor, 802.11 b/g/n WiFi, Bluetooth 2.1 +EDR, a micro USB connector, 3.5mm audio jack and all backed by a 1,450 mAh battery. 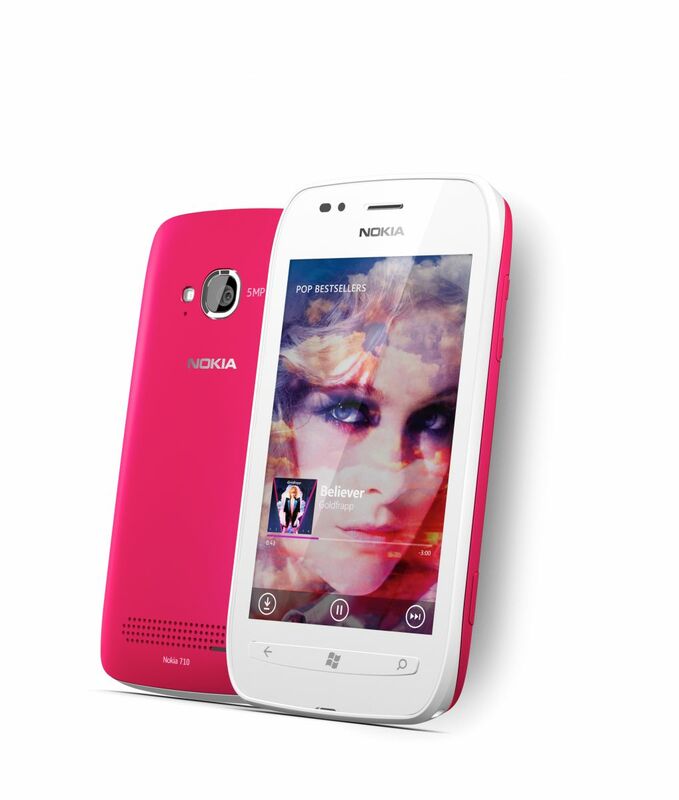 The phone has one 8-megapixel f2.2 camera Carl Zeiss optics, auto-focus and dual LED flash. 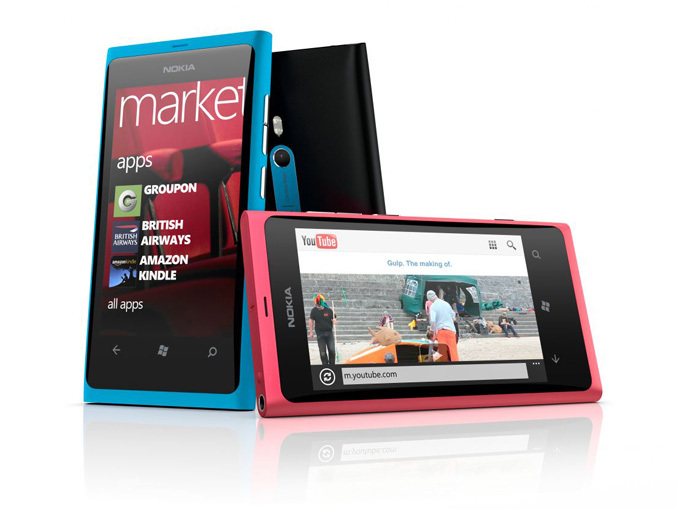 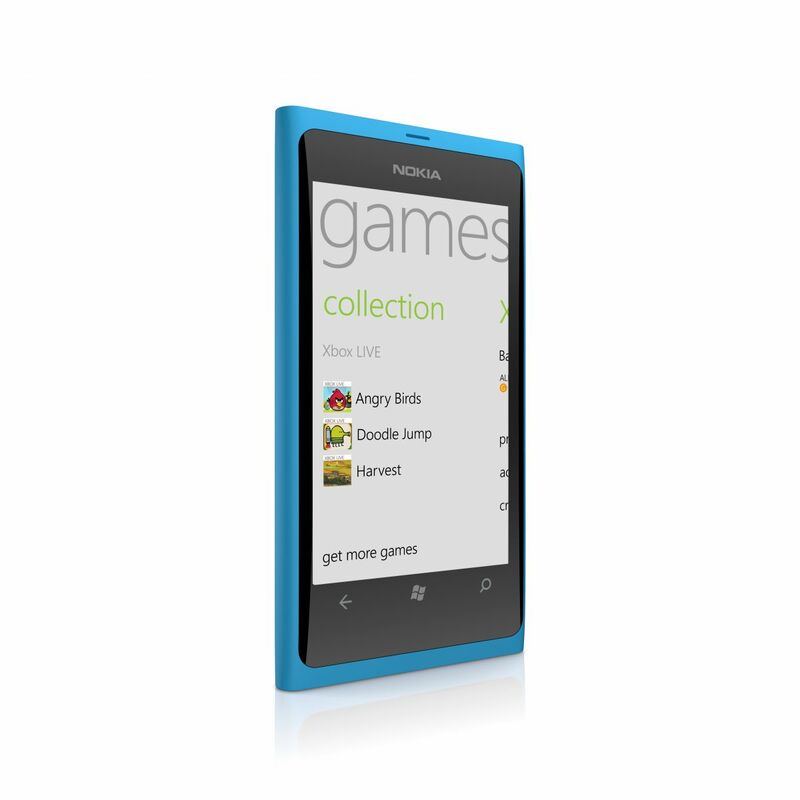 Lumia 800 measures 116.5 x 61.2 x 12.1 mm, weights 142 grams, and will come in in three different colors – cyan, magenta and black. 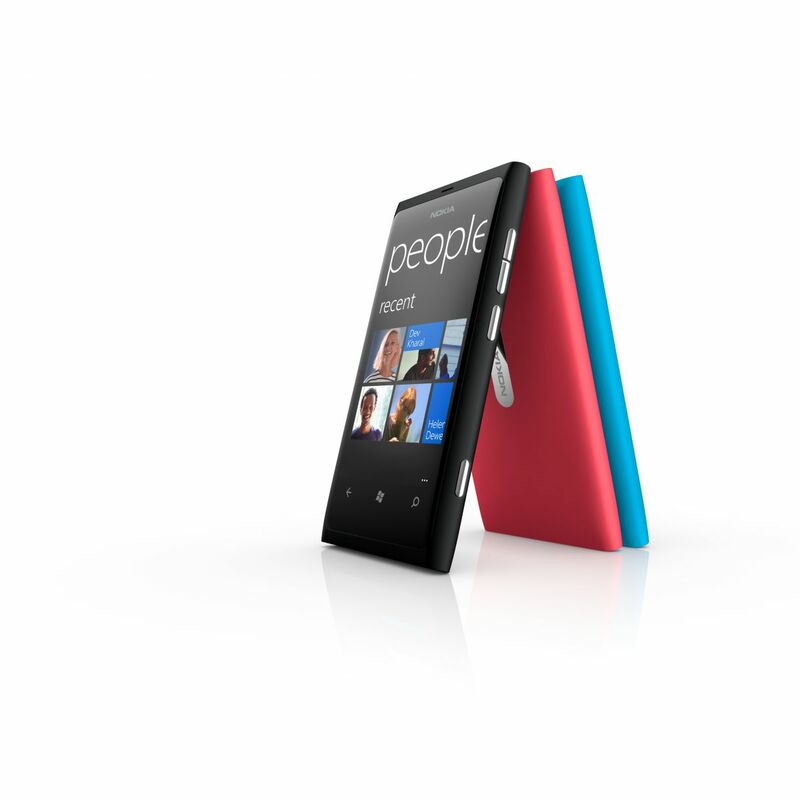 Available this November France, Germany, Italy, the Netherlands, Spain and the UK, priced at €420, then it is scheduled to be released in Hong Kong, India, Russia, Singapore and Taiwan before the end of the year, and in further markets in early 2012. 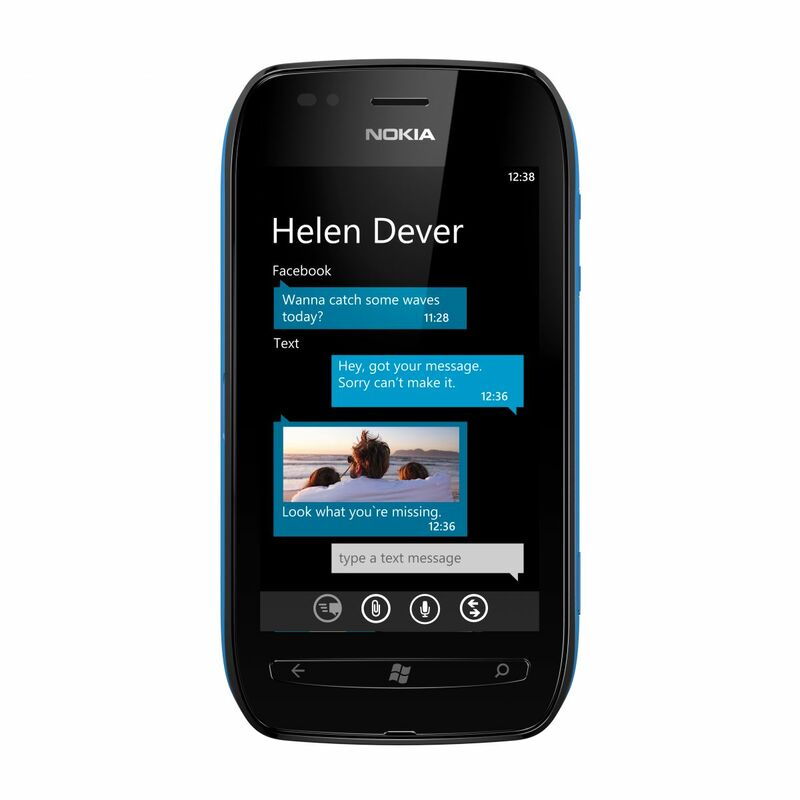 The other Windows Phone powered smartphone, Nokia Lumia 710 comes with exchangeable back covers, it measures 119 x 62.4 x 12.5 mm, weights 125.5 and has a 3.7-inch (800 x 480) TFT ClearBlack anti-glare touchscreen. 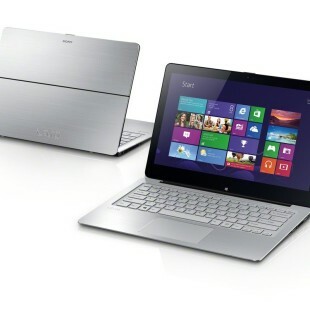 Inside it packs 1.4 GHz single-core Qualcomm processor, 512MB of RAM and 8GB of of internal storage, along with A-GPS, 802.11 b/g/n WiFi, Bluetooth 2.1, a micro-USB connector, audio jack and 1,300 mAh battery. 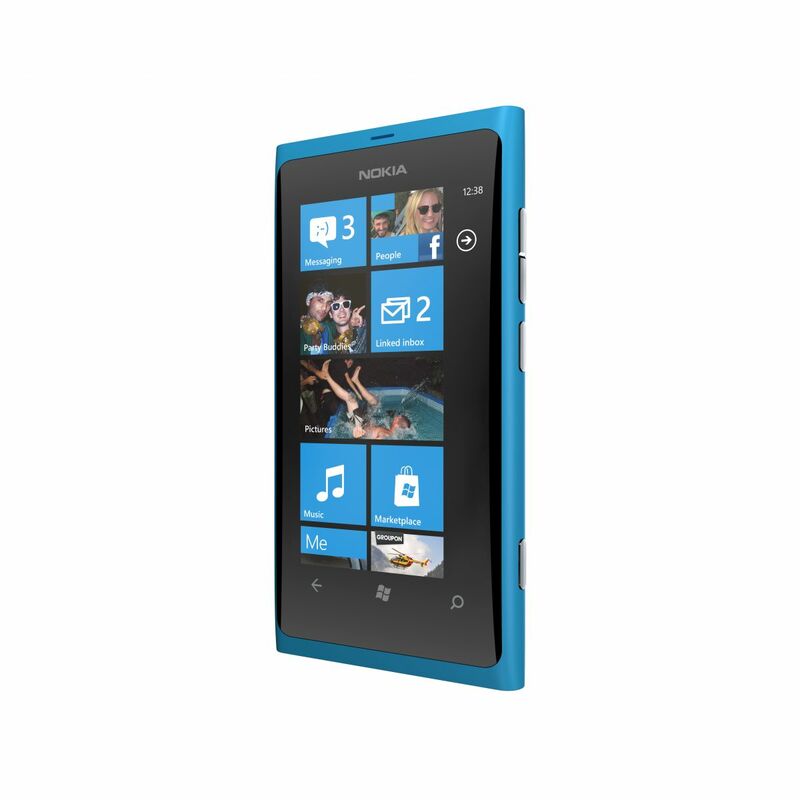 It has a 5-megapixel rear-facing camera with LED flash. 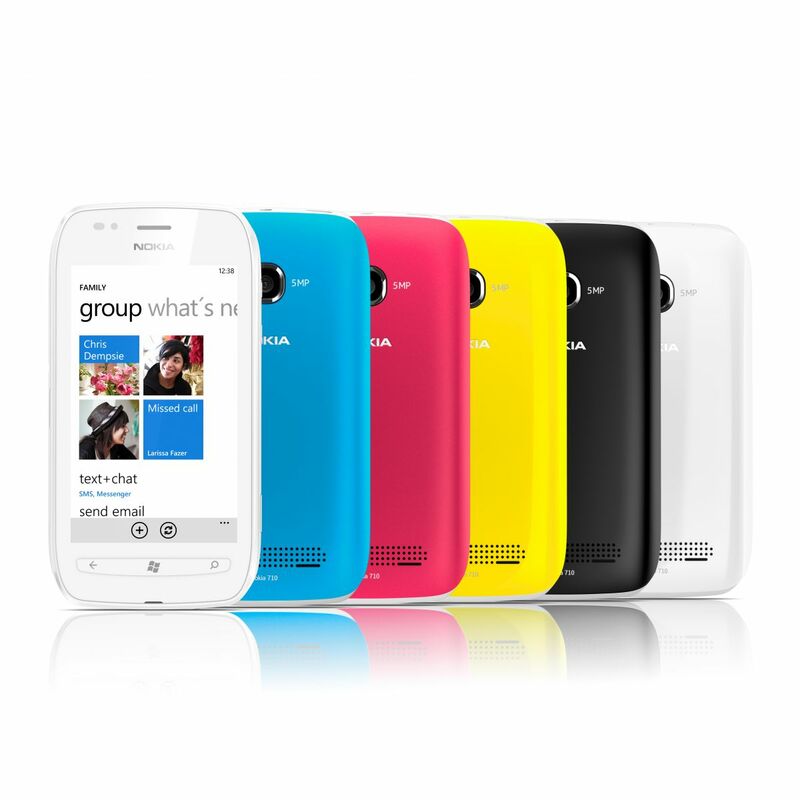 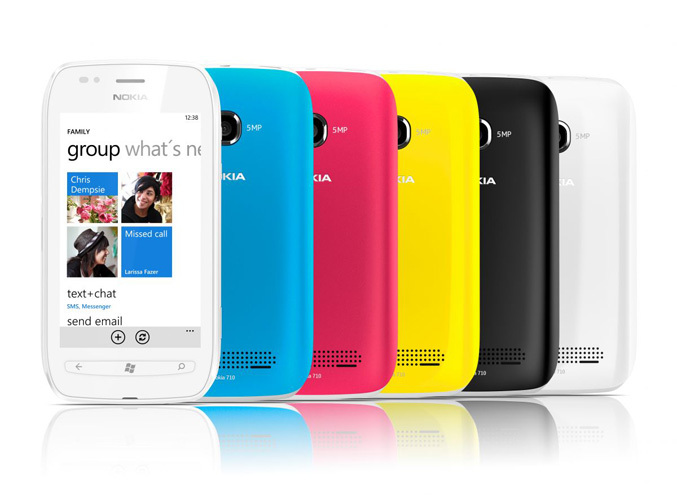 Lumia 710 will come in black, white with black, white, cyan, fuchsia and yellow, for €270. 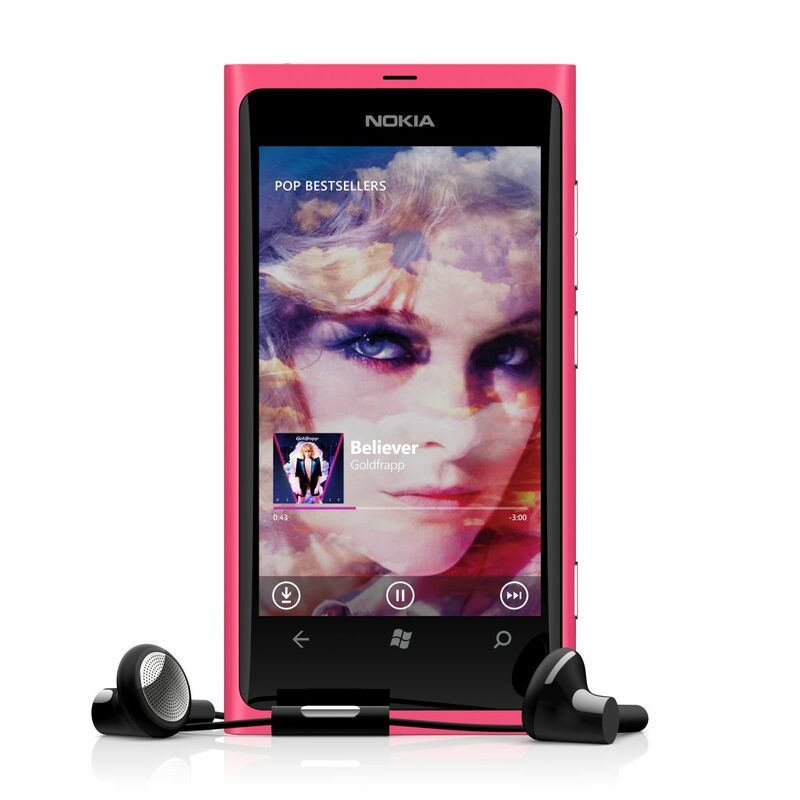 It is expected to hit stores in November, first in Hong Kong, India, Russia, Singapore and Taiwan toward the end of the year alongside the Nokia Lumia 800, before becoming available in further markets in early 2012.